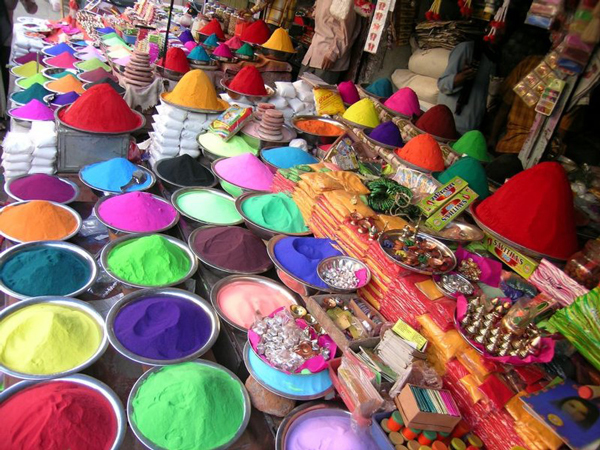 Holi Day in India is celebrated the day after the Full Moon in March. This year it falls on Monday, March 17th. Holi Day is an all encompassing holiday, from religious to mythological to social and cultural, this festival is literally for everyone and celebrated to its fullest. This is a holiday of emergence from winter and welcoming spring. It’s a way to get the body moving again and to raise the spirits. It’s also about how Good triumphs over Evil. And it’s when all the social class differences, past grievances and religious differences are set aside. This holiday is celebrated by all – not just Hindus. It’s a way to bring all Indian peoples together. Look at all these amazing colors! Image source. Holi Day is based on the legend of Prahlad and Hiranyakshyap. Hiranyakshyap is a powerful king and the father of Prahlad. He considers himself a god and wanted everybody to worship him. He was very angry when his son, Prahlad, began to worship Lord Vishnu. Hiranyakshyap conspired to kill his son. He asked his sister, Holika, to enter a blazing fire with Prahlad in her lap. He gave her a special trinket so she would be unscathed while in the fire. Legend has it that Prahlad prayed to Lord Vishnu and was saved, but his Aunt was not so lucky. And that my friends is where the name burning Holika or the ‘Holika dahan’ is taken. The other legend is that of Radha and Krishna which describes the extreme delight Krishna took in applying colour on Radha. See, Krishna was upset that he was so much darker then Radha. He was known for being mischievous. His mother told him to “paint” Radha to look more like himself. This prank of Krishna later became a trend and a part of the Holi festivities. Check out this video for a Bollywood take on the festivities – it has English subtitles so you can appreciate what is being told through song. I love Indian food and two of my favorite places in town are Saffron’s off of Woodruff Rd. (just down from the Shops at Greenridge) and Handi in downtown Greenville. Go check them out. The owners of both places are fabulous. 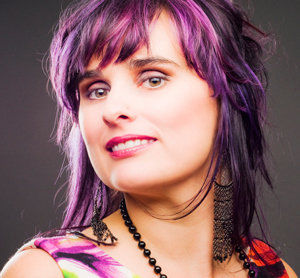 Be sure to tell them Nicole with the purple hair sent you. Mathew and Sunjay are the waiters at Saffron’s and they are awesome. To read more about Holi Day, check out http://www.holifestival.org/history-of-holi.html and the National Geographic website. With all of these fun colors going on for Holi Day, it got me thinking: What are the new colors for Spring and Summer going to be? 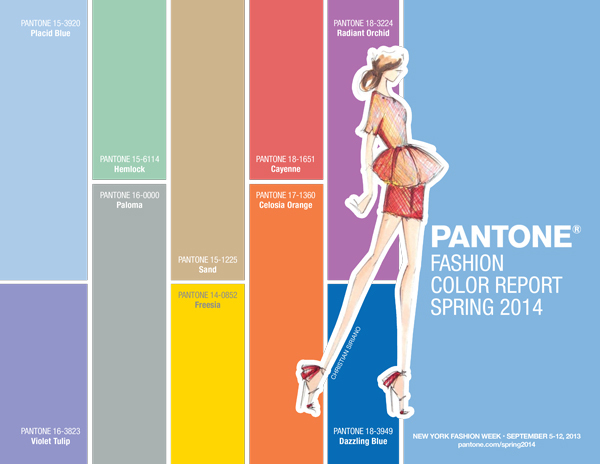 Check out Pantone’s Spring 2014 Color Fashion Report for all your color information. I love the colors for this season. Be sure to have your make-up colors touched up as well. And also a good time to remember to clean your make-up brushes. Along our theme of vibrant colors, I have some fabulous new peel-off masks in stock. These remind me of icing on a cake and are colorful. These masks can be added on to any facial for an additional $15. I do need a little more time with these masks so give me a heads up if you want to add one to your service. This mask brings new life to the epidermal layer infusing the skin with moisture and improving the elasticity and firmness of the skin to help reduce the formation and appearance of wrinkles. Last week my Grandfather (Shoopy) started his 5 month course of Chemo. I am super close with my Grandparents and it is hard to comprehend Shoopy is sick. He is always in good health and is old school tough. 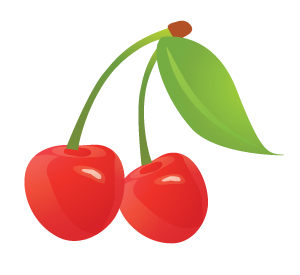 I will be traveling more to PA and although I am trying to keep my schedule the same as usual, I might need to make some changes here and there. Thank you for your understanding. Your thoughts, prayers and well wishes will be greatly appreciated. My Sunday appointments the next few months are March 16th and 30th, and April 6th and 27th. I will be out of the office March 6th-11th for a tradeshow in New York. April 11th-14th I will be in PA.